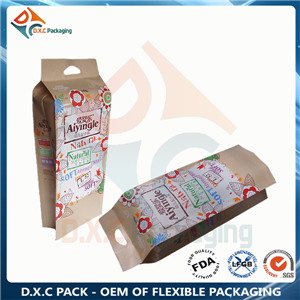 DXC PACK Side Gusseted Bag in KRAFT are food safe, attractive and will stand out on retail shelves in a variety of spaces from grocery stores to gift shops. 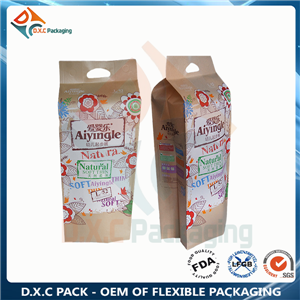 Available in a wide range of colors, you are sure to find an option that best represents your business and your product. 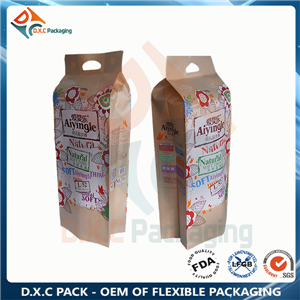 DXC PACK Side Gusseted Bag in KRAFT are food safe, attractive and will stand out on retail shelves in a variety of spaces from grocery stores to gift shops. Available in a wide array of colors, you are sure to find an option that best represents your business and your product. 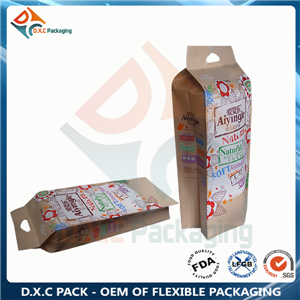 Side gusset bag with four panels for products branding. 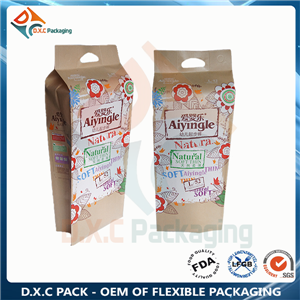 They are made from laminated, co-extruded films, providing good strength and visual impact as well as good palletisation due to welded corners. 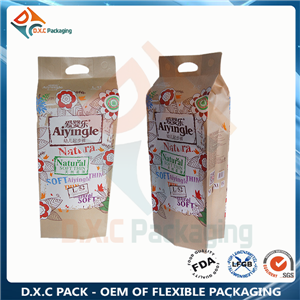 This pack format is suitable for 250g-20kg weights, Optional re-closure systems,press to close zippers as well as easy carry handles are available.